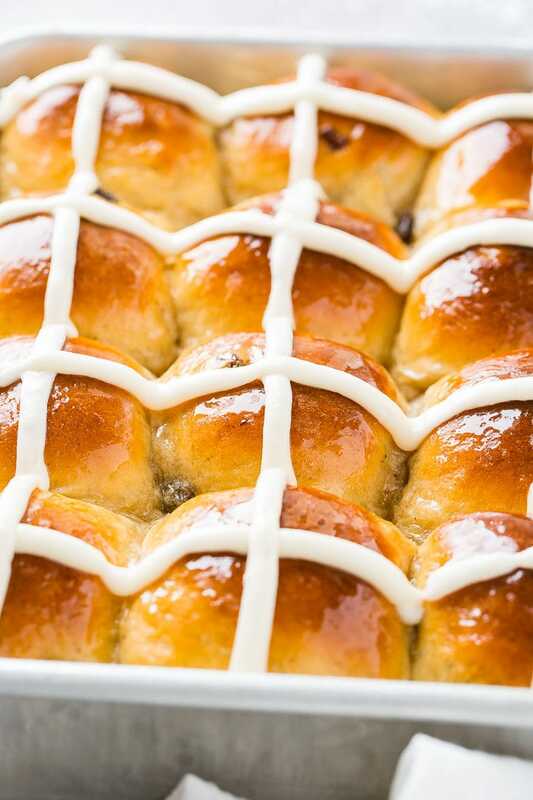 Ahhhh the traditional hot cross bun just got a face lift into, THE SOFTEST HOT CROSS BUNS recipe. You can totally eat them for breakfast. Or dessert. Or just because. I love food that has strong holiday meaning! Put these on your Easter menu! 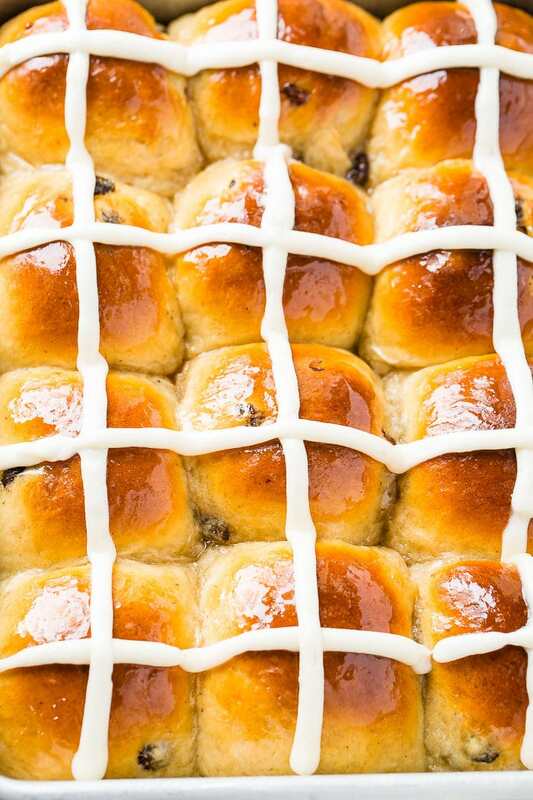 This little roll or bun marks the end of Lent and different parts of the hot cross bun have different meanings. The cross on top of the bun can be piped with frosting or etched into the dough. It represents the crucifixion of Jesus, and the spices inside signify the spices used to embalm him at his burial. We love to make these sweet rolls around Easter with children, and we love teaching them about the symbolism behind them. Our kids love them, so now we make them every year and our super viral Empty Tomb Rolls. Have you tried them? SO good and so fun for teaching the kiddos more about Easter! Try them or our apple version! Is the nursery rhyme song stuck in your head now like it is mine? 🎵 “Hot cross buns, Hot cross buns, One a penny, Two a penny, Hot cross buns.” 🎵 If I had a dollar for every time I played that song during piano and flute lessons growing up, I would be in the money!! It’s a good thing that eating THE SOFTEST HOT CROSS BUNS is way more fun than hearing hot cross buns! They are so soft with a slight sweetness from the raisins and syrup glaze. We love to eat them warm! Don’t hate me if the song is stuck in your head the rest of the day! The only cure is to head to the kitchen and get baking! Any time you make bread and it calls for milk, please scald it. It completely softens the bread recipe beyond any other thing you do. It’s an absolute must just like our Potato Rolls. Place your measured milk into a pot on the stove. Turn the heat on medium-low. Stir frequently until you starts to see steam coming off the milk and little bubbles forming around the sides of the milk along the pan. Let the milk cool to about 105 °F (41 °C). I like to stick it in the fridge for a few minutes to get the cooling started, but don’t forget about it! We don’t want cold milk! Why do we scald milk? Scalded milk helps make breads, cakes, and other baked goods light and fluffy. Scalding kills off the protein that’s in milk, which helps the gluten to remain unbroken. It also aids the dissolving process of sugar and yeast, which results in fluffier breads and sweets. How Do You Like Your Raisins? Boiling raisins for a couple of minutes with baking soda plumps them right up. 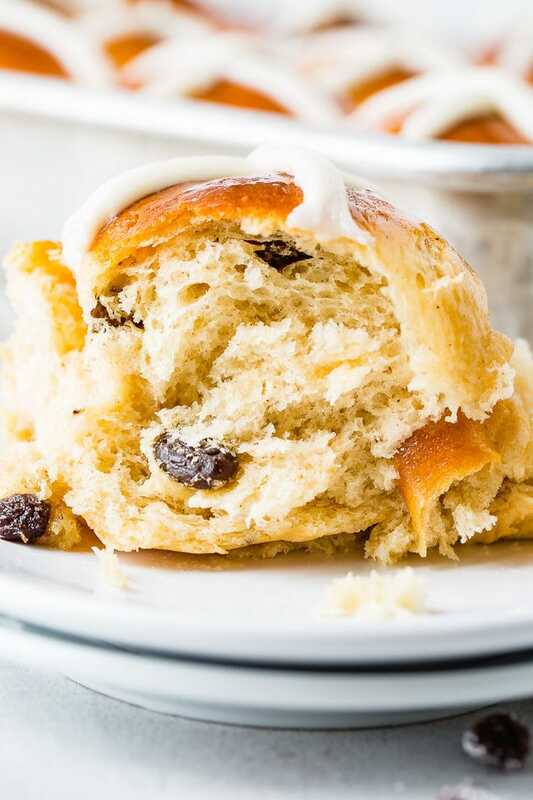 Big juicy raisins are the best in sweet rolls like this. When we put raisins into our world’s best cinnamon rolls, we fatten those babies up with some baking soda and boiling water! Be sure to let the raisins cool before adding them to the dough or they will get all mushy. 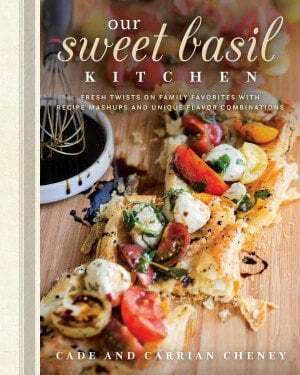 I have several friends who avoid recipes that use yeast. What?! The world would be a dark place without yeast and all the deliciously perfect carbohydrate wonders it does! But I get it, there are so many options to choose from. Do you buy active dry yeast or instant? What brand to buy? And then there is also rapid rise…is your head spinning? There is no need to be scared of yeast! Jump to my post on all things yeast for all the details, but long story short, I almost always use instant yeast and we prefer Red Star brand. You add the yeast to the lukewarm scalded milk with a little sugar, and your yeast will activate (proof) in a few minutes and be ready to roll or ready to bun in this case! See what I did there?! I’m so funny! While the yeast is activating, you can measure out your dry ingredients into the bowl of for your stand mixer. We like to use cinnamon and nutmeg to flavor our hot cross buns, but you can use any spices that you like. When the yeast it bubbly, add the butter and eggs and mix it all together. Then add the yeast mixture on top of the dry ingredients and use the dough hook attachment to mix and knead everything for 5 minutes. You may need to add little more flour if the dough is sticking to the sides, but the dough will be very sticky. This is the point where you will want to add your freshly fattened raisins to the dough and mix them in. Because the dough is so sticky, you will want to cover the dough in a little oil so it doesn’t stick to everything on earth while it rises. Cover the dough in a bowl with a towel and let it rise until doubled, usually around 2 hours. Then the dough can be separated into 12 equal portions and then formed into balls. Place the 12 dough balls into a 9×13 baking pan and cover to let rise for another 30 minutes. Now it is time to bake them, rest them, glaze them with sugar syrup, and add your frosting crosses. We like a simple cream cheese frosting for these. 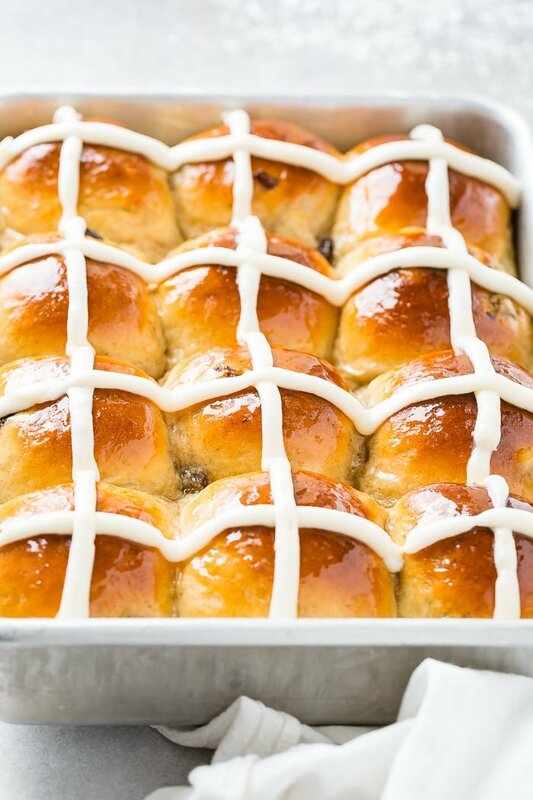 It adds just the right amount of sweetness and tanginess to these hot cross buns! Serve them warm! Happiest of Easters to all you and your sweet families! We appreciate your support more than words can say! Looking for a few different Easter recipes? 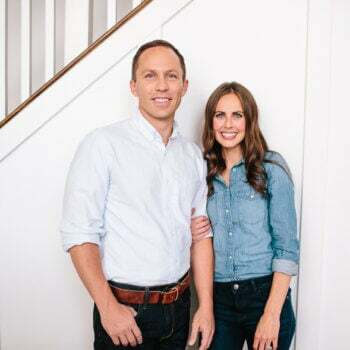 Here are a few that our family loves: Best Deviled Eggs, Garlic Honey Mustard Ham, Empty Tomb Rolls, Easy Ham Dipping Sauces, Best Potato Rolls, World’s Best Brown Sugar Ham, Apple Empty Tomb Rolls, Texas Roadhouse Loaded Sweet Potato, and Cheesy Potato Casserole. In a small saucepan over medium low heat, add the milk to scald it. This is done by gently warming the milk until it becomes frothy around the edges. You may notice a thin layer appear on the top of the milk, just remove from the heat and stir a little to remove it. Pour the milk into a bowl or glass measuring cup. Allow the milk to cool to warm. I like to put ours in the fridge for a few minutes to help it along, but you cannot use cold milk so don't forget it! Meanwhile, heat the water, baking soda and raisins in a small saucepan over medium heat until boiling. Allow to boil gently for 2 minutes, the raisins should be big and plump, and drain in the sink, leaving the raisins in the strainer to cool. Give them a gentle rinse very quickly under water to help speed up the process but do not thoroughly rinse them. In a small bowl combine the lukewarm milk, sugar and yeast. Stir gently and let it rest until the yeast activates and it begins to look foamy. 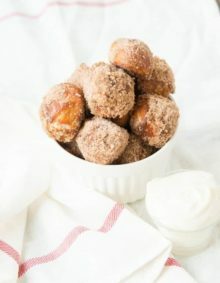 In the bowl of your mixer add 4 cups of flour, salt, nutmeg and cinnamon. Mix until combined. Add the eggs and butter to the yeast mixture and stir until the butter is melted. Pour the yeast mixture over the flour mixture, and using the dough hook attachment, mix for about 5 minutes at medium speed. Add up to 1/4 cup more flour if you notice time is almost up but the mixture is still clinging to the sides. Add raisins and continue mixing for another minute. They will add a little moisture, but it should still start to pull away from the sides of the bowl. In a large bowl add a bit of oil, now place the dough in the bowl, rolling it around so that it gets oil all over. The dough is extremely sticky, so using a bench scraper is really helpful. Cover the bowl with a towel. Let the dough rise for a couple hours until doubled in size, about 2 hours. Preheat oven to 375 F degrees. Line a 9x13" pan with parchment paper, then spray with nonstick spray. Punch down the dough, and cut it into 12 equal pieces and roll each one in your hands quickly to make a dough ball. Place the rolls in the pan and cover with a clean towel and let them rest for another 30 minutes until doubled in size. Bake for about 20 to 25 minutes or until golden brown. 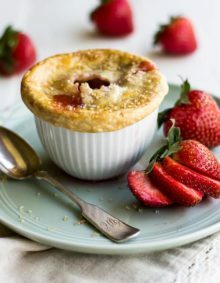 While baking, make the sugar syrup by heating the sugar with the water in a sauce pan over medium heat. Bring to a boil, stirring until the sugar is dissolved. Continue to boil the syrup for about another minute or until syrup thickens very slightly. Set aside. Remove the rolls from the oven and set aside for 5 minutes. Brush the tops with the sugar syrup and let rest for 5-10 minutes. 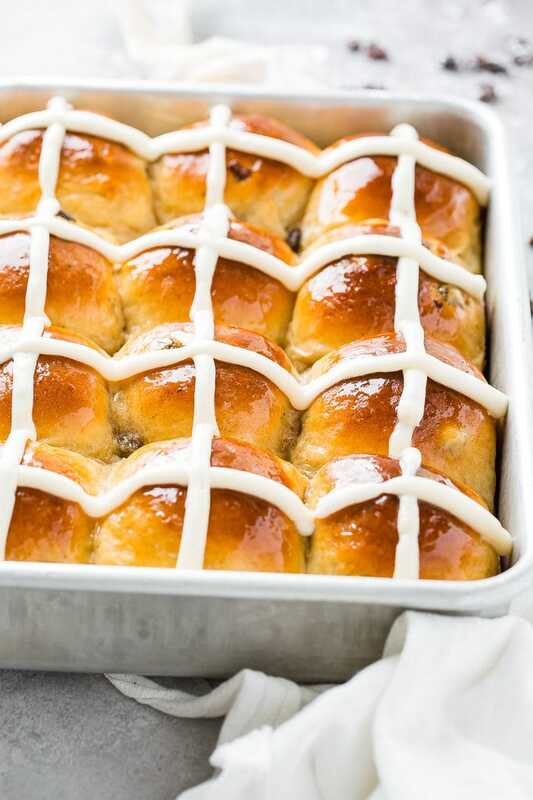 Using the icing, pipe down the center of each row and then across each row to create a cross on each bun. Whisk all the ingredients together and spoon into a piping bag with a round tip and refrigerate until ready to use. You want the icing to be a little thick so it holds shape on the rolls. 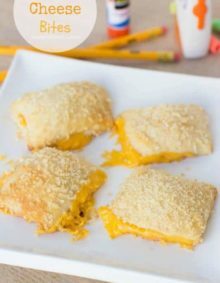 Have you tried making these through to the shaping part and then putting them in the fridge overnight to finish in the morning? I’m wondering how long they’d have to come to room temp before they can be baked. I am wondering the same thing!! It takes about 30-45 minutes for them to come to room temperature. Enjoy! Yes, this works great! It takes about 30-45 minutes to come to room temperature. Enjoy! Oh, I am so excited to try these for Easter! 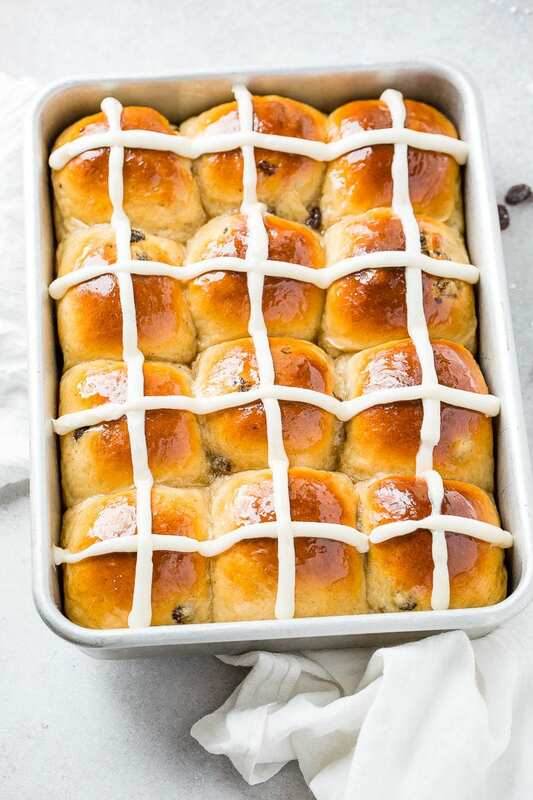 I have never had hot cross buns before, but I have heard of them a lot! Yum.